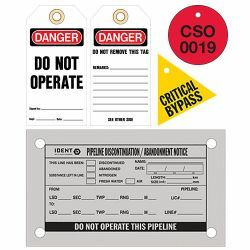 Smaller than a sign or decal, tags are best used on smaller pieces of equipment. ***Used when you can't use a sign or decal. Selected layouts kept in stock.